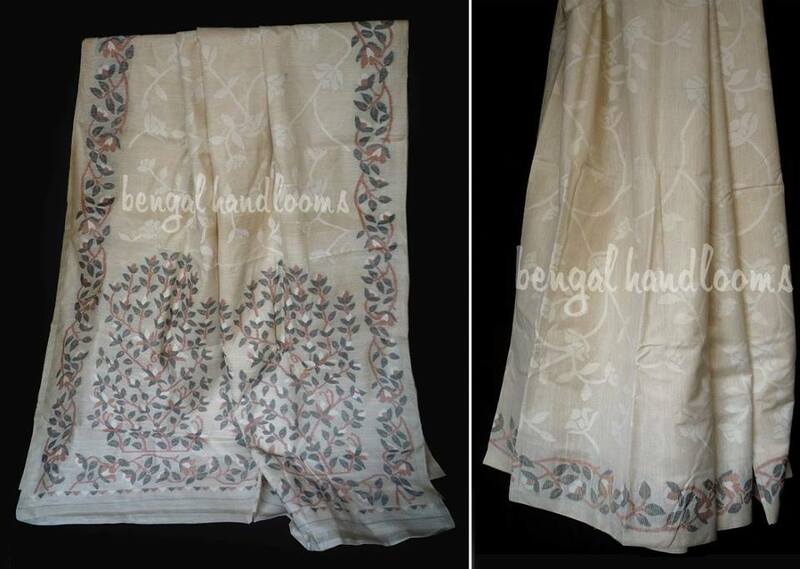 Allover intricate jamdani work. Running blouse piece with same border. Colour – off white.